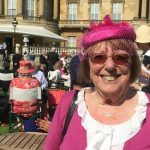 When Susie Bagot of Levens Hall, a long-time supporter of Manna House, suggested we might try for the Queen’s Award for Voluntary Service, it just sounded too good to be true. But with the support of our talented volunteer Clare Coxon, we went ahead and applied for the honour. The award is equivalent to an MBE and is the highest award that can be made to a voluntary group. The nominee’s works must be of service, meet a need, and be supported, recognised and respected by the local community. Winners receive a certificate signed by the Queen and a domed glass crystal. 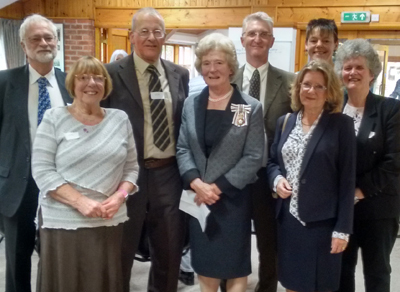 Manna House is honoured to have had the Lord-Lieutenant Mrs Claire Hensman present our award to us at the Friends of Manna House (FOMS) AGM on 2 October at our brand new premises, the Stephenson Centre, on Ann Street. Winners of the award may also be invited to attend a royal garden party by the Queen. Manna House sent Nina Bale, Founder and Coordinator of FOMS, and Andrea Aldridge, Chief Officer, to Buckingham Palace on 15 May 2018. They represented the marvellous Manna House volunteers with genuine pleasure and delight, networking with other sector leaders, talking up Manna House and having a jolly fine time royal spotting and hat gawping. It truly was an honour to represent Manna House there!